A wireless detector network gathering an outsized range of small sensor nodes which is capable to perform native computations supported by gathering sensor data and communicating with alternative sensor nodes within the network. The fault node recovery (FNR) algorithm, grade diffusion algorithm combined with the genetic algorithm finds the dead node and shortest path with the help of following parameters like Average delay, Energy Consumption, packet delivey Ratio .The FNR algorithm requires replacing non-functioning nodes and reuses the most routing paths, for increasing the WSN lifetime. The expected result increased the speed of packet delivery Ratio &throughput. This system will give recovery of failure nodes with lesser cost and lesser Energy consumption. This system output displayed with NAM animator or x-graphs using NS2. Akkaya.K,Senel,F A. Thimmapuram, and S. Uludag (2010),“Distributed recovery from network partitioning in movable sensor/actor networks via controlled mobility,” IEEE Trans. Comput., vol. 59, no. 2, pp. 258–27. Anitha, R.U; Kamalakkannan, P (2013), "Enhanced cluster based routing protocol for mobile nodes in wireless sensor network," in Pattern Recognition, Informatics and Mobile Engineering (PRIME), 2013 International Conference on , vol., no., pp.187-193. Baiping Li; Xiaoqin Zhang (2011),“Research of Development in Wireless Sensor Network Routing Protocols Based On NS2,” IEEE Trans.Comput.,Volume4,Pages: 1913 1916. DongxuCui ;Junguo Zhang; Wenbin Li; Xueliang Zhao; ZhongxingYin (2009),"The NS2Based Simulation and Research on Wireless Sensor Network Route Protocol," in Wireless Communications, Networkingand Mobile Computing, 2009. WiCom '09. 5th International Conference on , vol., no., pp.14, 2426. Gembali, S.K. 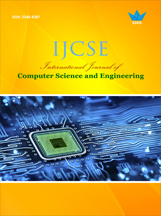 ; Jagannatham, A (2015), "Optimal MIMO beamforming based topology management for interference minimization in MIMO wireless sensor networks," in Wireless Communications and Networking Conference (WCNC), 2015 IEEE , vol., no., pp.1470-1475. Liu.H, X. Chu, Y.-W. Leung, and R. Du (2010), “Simple movement control algorithm for bi-connectivity in robotic sensor networks,” IEEE J. Sel. Areas Commun., vol. 28, no. 7, pp. 994–1005. Li Tian; Huaichang Du; Yanwei Huang (2012),"The simulation and analysis of LEACH protocol for wireless sensor network based on NS2," in System Science and Engineering (ICSSE), 2012 InternationalConference on , vol., no., pp.530533. Mali, G; Misra, S (2015), "TRAST: Trust-based Distributed Topology Management for Wireless Multimedia Sensor Networks," in Computers,IEEETransactionson,vol.PP,no.99,pp.11- .2456026. Miao Zhao; Ming Ma; Yuanyuan Yang (2011), “Efficient Data Gathering With Mobile Collectors and Space-Division Multiple Access Technique in Wireless Sensor Networks,” Computers, IEEE Transactions on Year: 2011, Volume: 60, Issue: 3 Pages: 400 – 417. Massimo Franceschetti, Marco Donald Migliore, and Paolo Minero (2009), “the Capacity of Wireless Networks: Information-Theoretic and Physical Limits” IEEE Transactions on information theory, vol. 55, no. 8, august 2009 3413. Patrick Thiran ; Massimo Franceschetti, Olivier Dousse, David N. C. (2007),“Closing the Gap in the Capacity of Wireless Networks Via Percolation Theory” IEEE transactions on information theory, vol. 53, no. 3. 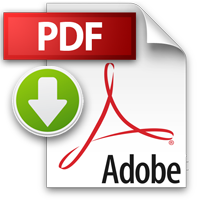 Qiang Zhang; Meiqin Liu; Senlin Zhang; Huayan Chen (2014),“Node topology effect on target tracking based on underwater wireless sensor networks," in Information Fusion (FUSION), 2014 17th International Conference on , vol., no., pp.1-8, 7-10. Rumen Kyusakov, Jens Eliasson, Jerker Delsing, JanvanDeventer,and Jonas Gustafsson (2011),“Integration of Wireless Sensor and Actuator Nodes with IT Infrastructure Using Service-Oriented Architecture” IEEE transactions on industrial informatics, vol. 6, no. 1. Seong-EunYoo; Poh Kit Chong; Daeyoung Kim; YoonmeeDoh; Minh-Long Pham; Eunchang Choi; Jaedoo Huh (2010), “Guaranteeing real-time services for industrial wireless sensor networks with ieee 802.15.4,” Industrial Electronics, IEEE Transactions onYear: 2010, Volume: 57, Issue: 11. Least-Disruptive topology Repair algorithm (LeDiR), Fault tolerance, network recovery, topology management, Fault Node Recovery Algorithm (FNR), wireless sensor-actor network (WSAN).